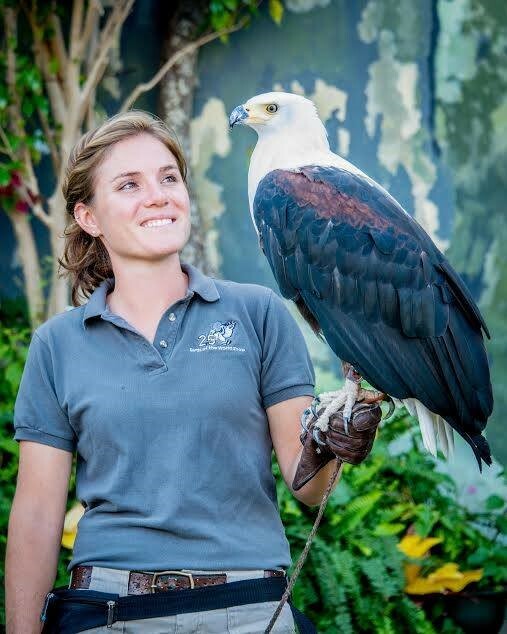 This month’s featured CPBT-KA (Certified Professional Bird Trainer - Knowledge Assessed) is Katie Bilzi who currently works as a Senior Trainer at Natural Encounters, Inc. Her favorite bird species to work with are Ravens, "these guys have really helped me to sharpen my training skill in a lot of ways. Always a welcome challenge!" Katie says she was inspired to take the test since "practicing training skills on my own was one thing, but teaching others how to do it was really intimidating. I knew the test would improve my ability to impart the knowledge of training to others, and that was really important to me." Being certified has helped Katie in her career because "it really got the ball rolling in my interest for sharing the information with others that want to learn and certainly gave me the confidence to do so." Her advice for people thinking about getting certified? "Study the materials of course, but also take advantage of anything and everything that you are especially interested in and delve into it further. You never know where it will lead you one day." Looking for CEUs? Zoo Atlanta is hosting a Working Birds Workshop. n helping prevent the spread of diseases by ridding areas of carcasses. 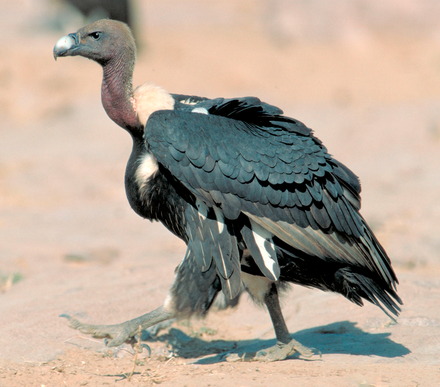 Declines in vulture numbers in India and Pakistan are resulting in an increase of carcasses remaining to feral dog populations, leading to an increase in the number of feral dogs, which transmit rabies to human populations. In the 1980's these birds were considered "the most abundant large bird of prey in the world" at numbers estimated to be several million globally. However due to kidney failure from poisoning, in 2016 their numbers were estimated only around 10,000 mature individuals. Efforts are being made to treat cattle with different drugs to stop the poisoning from occurring.